5 healthy snacks under 200 calories - The Co.
One of the hardest parts of adopting a healthier lifestyle, in my opinion anyway, is trying not to eat after dinner. There’s just something so comforting about curling up on the couch with a bag of chips or a bowl of ice cream after a long day, and while I have done a pretty good job of curbing my need for late night snacks, there are times when a glass of water or a walk around the block won’t cut it, and I simply have to eat something while we’re watching Homeland on Netflix. The good news is that my determination to be a healthier version of myself has made me much more disciplined in what I eat, and while I still indulge every once in a while, I make sure I’m always prepared when those late-night hunger pangs hit so I don’t eat an entire day’s worth of calories in one sitting. And since I know I’m not the only gal who is on the hunt for healthy snacks that won’t ruin my weight loss efforts, today I’m teaming up with the wonderful folks at goodnessknows to share 5 of my favorite healthy snacks under 200 calories. If you haven’t already made the switch from regular to Greek yogurt, you’re really missing out. Greek yogurt is not only creamier and tastier, but it’s also packed with protein to help you feel full. I always opt for the plain, fat-free options so that I’m not wasting my fat, sugar, and calorie intake on one snack, but I spice things up by adding a cup of blueberries. It’s delicious! Whenever I go for a late night run to clear my head after a stressful day, I usually grab a banana and a tablespoon of natural peanut butter as a post-workout snack. 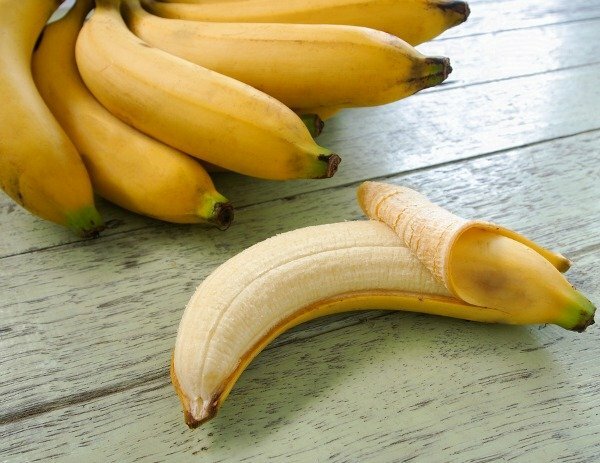 I find the carbs from the banana quickly increase my energy levels, and the protein from the peanut butter is just enough to keep me feeling full until breakfast. 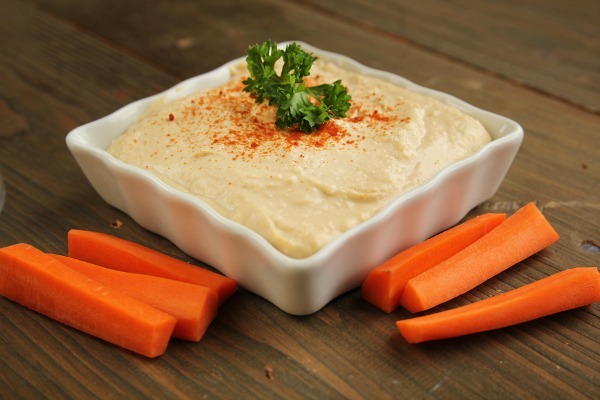 When I’m craving something crunchy (read: potato chips), I usually opt for a few carrot sticks dipped in hummus. This high fiber snack is also loaded with protein, which makes me feel full, and after reading that monounsaturated fats (found in the sesame seed butter used to make hummus) help reduce belly fat, it’s my new favorite treat! On nights I feel like eating something salty, I immediately reach for a container of low fat cottage cheese. 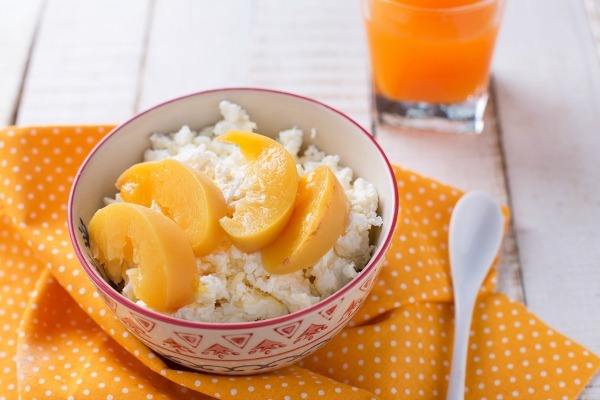 This high protein snack is full of vitamin B-5, which helps your body respond to stress, and by adding fresh peach slices on top, it’s the perfect way to stave off hunger. 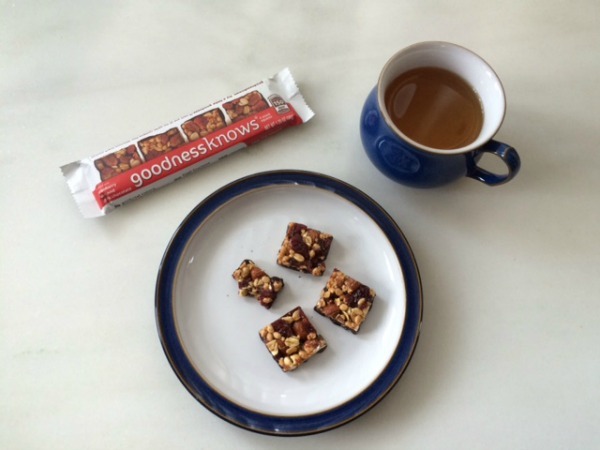 When my sweet tooth gets going and cannot be tamed with a spoonful of peanut butter or a cup of blueberries, I always grab a goodnessknows snack square. Have you ever tried one? It’s a delicious and amazingly satisfying snack that is crafted with the goodness of whole nuts, real fruits, toasted oats, and dark chocolate with no artificial colors, flavors, or sweeteners. 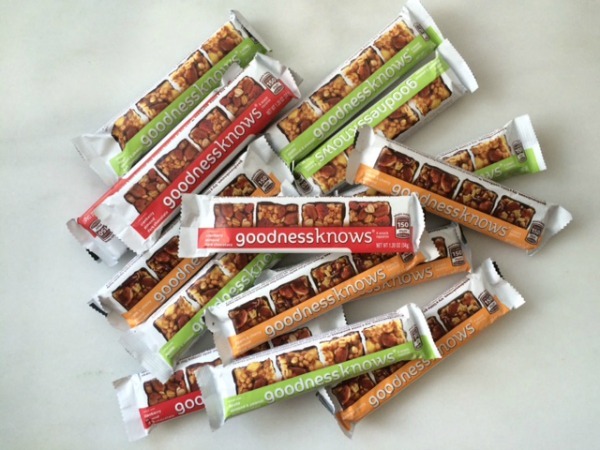 Goodnessknows snack squares come in 3 tasty flavors (cranberry, almond, dark chocolate // apple, almond & peanut, dark chocolate // peach & cherry, almond, dark chocolate), and each package is divided into 4 snackable squares that are approximately 40 calories each, for a total of 150 calories per package. Each serving contains 100 milligrams of naturally-occuring cocoa flavanols, which makes them the perfect treat to satisfy your chocolate craving without sabotaging your weight loss efforts. 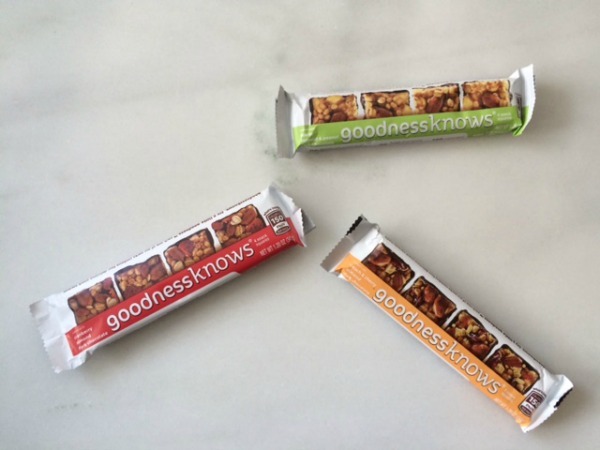 I particularly love the cranberry, almond, and dark chocolate flavor, but I’ve never met a goodnessknows snack square I didn’t enjoy. 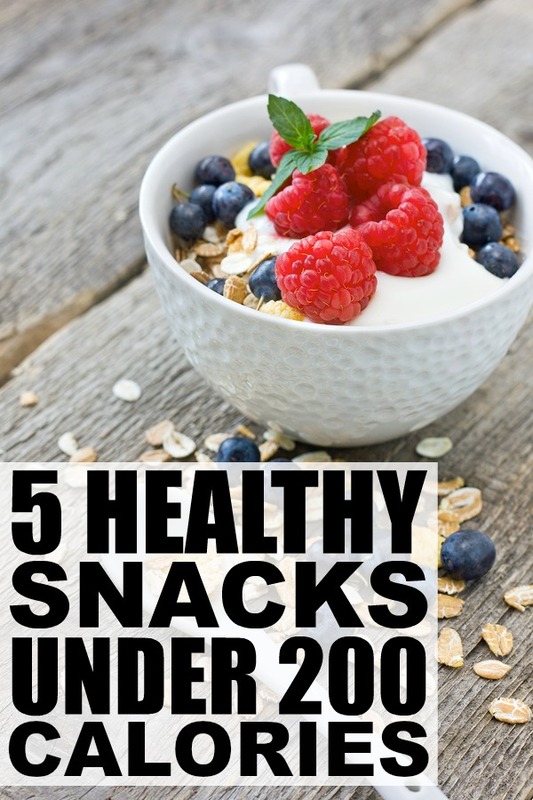 If you liked this collection of healthy snacks under 200 calories, please share it on Pinterest! This is an excerpt from the article 5 healthy snacks under 200 calories which originally appeared on http://www.cloudywithachanceofwine.com/.